About TeleNovela Channel | TeleNovela Channel - Bringing you closer to lifes drama. TeleNovela Channel is the first ever full-time soap opera channel in Asia that broadcasts 24 hours a day 7 days a week. This features timeless stories from different genres, selecting only the best soap series that are contemporary, loved and renowned by a worldwide audience. This also includes famous stars from Latin America, Mexico and all over the world. 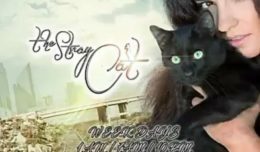 Since the advent of television, we Pinoys are already a lover of soap operas. Today, with the proliferation of soap operas and telenovelas from the country’s major networks, the TeleNovela Channel aims to be different in that it is the first of its kind to be carried to far-flung areas via satellite TV and other cable operators. TeleNovela Channel aims to give non-stop programming of popular and well-loved telenovelas, entertaining millions of viewers and touch their lives in the process. And also to give Filipinos an excellent source of entertainment that rivals with any other network both local and international. With its advantage of giving you options to watch a telenovela that you’ve missed, with initial 300 cable operators who signed up together with Direct to Home Satelite TV, telenovela entertainment can reach even those who are in areas that cable channels do not service. With that, TeleNovela Channel will assure to bring you closer to life’s drama! The Telenovela Channel shows a flower in full bloom, ready to face the sun and rain, the bees and butterflies that will go near it, exposed to all the elements of nature; very much like real life, with all its ups and downs – but staying firm and royal nonetheless. It symbolizes the cycle and drama of life — from its beginnings to end — the heart of the telenovela. 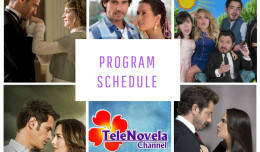 The Channel aims to provide non-stop programming of popular and wellloved telenovelas, entertaining millions of viewers and touching lives in the process. To give the Filipinos an excellent source of entertainment that rivals that of any other network both locally and internationally.